Daniel was at at our beckon call at every stage of the mortgage process. The settlement went smooth as and I am more than pleased with Daniel's recommendations. I will recommend to friends. Tajinder is so kind and a very detailed oriented person. He never hesitated to clarify my queries and listened to me very patiently. He guided me in all the processes with step-by-step approach. He was always available when I wanted to speak to him including in Weekends. His service was simply superb and he simplified most of the activities in the process, which helped me to understand the Mortgage process easily and quickly. He is a professional with deep domain knowledge and he knows what to do in his job in order to help others. Taj has been great in helping us with our unique situation. He has thorough understanding of his work. Very professional and would certainly use his service again. Taj was absolutely amazing! He was in regular contact and whenever something needed to be explained, it was understandable and his response time is amazing. This entire process would not have the positive experience it was without him. I've lost count of the number of times over the last few weeks that my wife and I have said: "Taj is amazing." Will 100% be recommending him to friends and family. Taj is awesome I would give more stars if I can! As first homebuyers, we can read a lot of stuff online but having someone who is experienced and can answer even the stupidest questions we had gave as that extra boost of confidence that we needed. He helped us every step of the way, I wonât hesitate to recommend him to my friends! Super impressed with Taj's work, made my experience of buying my first home that much less stressful. I would highly recommend him. Great to have him as my first home broker. Continue to have more business with him !!!!!!!!!!!! Very good job by Taj. I approached several other brokers that turned me down without even understanding my circumstances. Will definitely use him for my future purchases. Taj has been very helpful so far - from explaining mortgage terminology to providing detailed options between lenders. Taj is very responsive to my calls/emails and genuinely cares for his clients. His team has also been great with documentation and communication. I have already recommended him to a few friends and would recommend him for a first home buyer. I couldn't have done it without First Home Buyers Australia- FHBA. I really appreciated the FHBA team's efforts through the whole process. And particularly appreciated you keeping me in the loop throughout. FHBA also helped me negotiate a better deal with the real estate agent, saving me thousands of dollars! I've just finished moving everything in now and was very happy with the outcome of the whole process. If you are looking for a loan and need to make sure you have the appropriate insurance cover, definitely check FHBA out they are lifesavers! When we started looking for our first property over a year ago we were so overwhelmed with all the information on the "current market", auctions, negotiations and week after week inspections that we nearly gave up our search until we came across FHBA. The guidance given to us by Taj along with his passion of helping young families like us buy our first property was extremely comforting knowing that we always had someone working on our side, who would consider our needs and work within our budget. We are finally in the "market" and we can't thank Taj enough for the speed and efficiency in which he responded to our endless emails, phone calls, questions we threw at him and the recommendations of solicitors, insurance companies etc to ensure we had covered all aspects of purchasing our first home. We have no hesitation recommending Taj and FHBA to family, friends and anyone needing any information or looking to buy a property! Taj was friendly, very professional and knowledgeable. He made an otherwise stressful journey feel exciting. We value his honesty most. He always made sure we understood the reality of the situation and that in turn has helped us make the most informed decision about how much we could borrow. We will recommend him to family and friends in a heartbeat. As a first home buyer I got in touch with Taj and he helped me from the beginning at every steps of buying a property. I had numerous questions and Taj was kind enough to provide me lots of valuable information. He is very reliable, efficient, smart and knowledgeable. He explained to me everything I need to know very clearly. He exceeded my expectation with his quality of service. He organized the bank loan for me which was a smooth process and I got the best rate. I have been amazed with the service he provided. I can completely rely on him and can take any of his advice without second thought. I am really grateful to him. Without him I wouldn't be able to do all the things smoothly. I will definitely take the service again in future and will recommend to my friends and family. Taj has been fantastic throughout the whole process. I am an expat and he has made him self readily available to answer any and all my questions quickly and reliably. Highly recommend using his services. Highly recommended. Taj was fantastic throughout the whole process. For anyone wanting to purchase their first home, these are the people to see. Could not have done it without Taj's help and advice. Much appreciated. A brilliant effort from Taj to make our dreams come true. He made possible what others deemed impossible. Appreciate your help. Will definitely be referring to others and for our future properties. Taj was the best broker I have had the pleasure of dealing with. Personable, interested and understanding. Good follow up and continually striving to make my mortgage deal better. Has helped me through to pre approval stage which for me is just what I wanted. Taj was excellent through the whole process of buying my first home. He explained everything clearly, and answered all the questions I had, even if I thought they may have been silly! Would recommend. Taj thank you for all your help throughout the whole process of buying land, it's great to know there is a service out there catered for first home buyers. When we're ready to shop home loans it's good to know we have someone who we can trust who has out best interest backing us! Thanks again! We’re first home buyers and Taj has helped us with every little detail about getting us in the property market. His approach as a broker is second to none and every question we had that may not have fallen into his category were answered promptly! Communication is key and Taj always remains in contact:) There’s nothing we can find to fault Taj’s approach with our application from beginning to date. Keep doing what you do Taj; you’re a true professional and FHBA is lucky to have you! At first I was concerned that FHBA had no agents I could speak to face to face as they are based in Sydney, however, the service I received from Taj Singh was far better than any Melbourne based agents. As I first home buyer, I had a lot of questions and concerns as I was new to the process - Taj was very responsive to my emails and calls and was able to answer my questions with confidence. Taj was excellent from start to finish. He really was a pleasure to deal with. Taj is a very professional broker and is always available for every question. Highly recommended. Taj helped throughout the whole process and answered all of my questions promptly and fully. Without his help I would not have got close to getting the best home loan for me and feeling so confident as I move into my new home later this month. Taj is very professional, prompt in getting back & clarifying all queries & extends his service with a great attitude & very approachable. He is very knowledgeable & a pleasure to deal with. Given my financial circumstance, Taj's experience & approachable attitude certainly gained few CREATIVE opportunities for me to prepare for my finance requirements. Taj was great - really quick, got me a fantastic interest rate and a path towards owning a home - what more could I ask for? Taj helped me in procuring our first home in Australia. He was thoroughly professional and helped me through the journey. If not for him, I would not have been in the right place at the right time to buy the property. The fact that we were on opposite coasts of this huge country did not matter at all, he was there when ever I needed him for support/guidance. Great service, I would recommend to anyone looking for home finance. A brilliant service offered by Taj Singh. Highly recommended. Has gone above and beyond his call of duty to ensure we moved into our new home effortlessly. Cannot recommend him enough. Absolute Magic. The greatest thing that happened to us in 2017 was Taj. He helped us secure our first home loan and his commitment throughout the whole process was second to none. You won’t be disappointed with him on your side. Keep up the great work Taj! Daniel Cohen from FHBA helped me secure my first investment loan in December 2017. He was able to provide me with detailed information so that I was able to select the best option that suited my needs. Not only was he extremely knowledgeable but went above and beyond to ensure that I received the most competitive interest rate. Daniels customer service and communication skills were exceptional. He always made himself available to answer any questions and his response time was extremely efficient. His diligence and expertise made the purchase process simple and straight forward. I would highly recommend first home buyers to prospective clients. Definitely 5 stars for FHBA! We are very pleased that we used their services for buying our new home! Taj is highly talented and pleasant professional broker to work with, he managed to get us better mortgage condition that we even could dream of! Don't waste your time on other brokers who just talk in the air, Taj is the only one who can stand behind his word and bring results. We highly recommend on Taj and FHBA for home buyers! Highly professional, fast thinking, reliable and communicative. Buying a new home is itself is challenging when you don't know how much your borrowing capacity is and what your repayments will be. That's when I contacted Taj Singh , who was like a blessing. He is an excellent communicator who suggested the best loan option suitable to my needs. He was honest in his suggestions and always guided me through all the steps in a detailed manner. He is an amazing guy, very helpful , knowledgeable, experienced and will always give you the right advise. If you are looking for a loan , I would bet on Taj services, assuring the best deal and peace of mind. Taj was great - went the extra mile for me. I managed to get a house (something which ANZ told me was impossible) at a rate better than the one they wouldn't even give me! Thanks Taj! Taj was exceptional during the whole process. Being the 1st home buyer, we had very little idea how to go about getting a loan, looking for property etc. Taj made the whole process very very easy for us. He was very prompt in answering all the queries we had. We would highly recommend Taj to anyone looking for a home loan. Five stars from me!!! I will absolutely be recommending Taj to anyone and everyone I know. He has been a superstar and I could not be more pleased with how he has handled the entire process for us. We are very grateful, thank you! Taj was very helpful in finding me an appropriate loan and he was always prompt. I was struggling with getting a hold of other brokers. I am Very Happy with his services and I would use him if I am looking for my next property. Taj is very professional and always available to provide assistance on any doubts I have. Taj has been exceptional in working with the lenders and getting the best deal for me. I am glad that I did approach to the right person. Excellent work thanks again! Taj really made us comfortable during this process. He listened to our circumstance and is very positive that we can get a pre-approval! I honestly thought that we will wait forever to get our own place but when we talked to him and discussed and discuss our plans, everything felt like it is really achievable. Looking forward to build our very own home soon. There are many mortgage brokers out there who will give you a list of matching lenders to suit your criteria and let you pick one then complete the documentation and done. But, Taj is someone who is capable of understanding his client's specific requirement and deliver a personalized service to choose the best home loan product in the market. He is right there for you through out the process to get you through smoothly and his outstanding skills in his profession to assist you to overcome any problem you face down the line. Taj is a hard working, result oriented individual who is always available to answer your queries and clarify anything. Thanks to Taj our dream became true and I wish him all the success in his all future endevours. I have no hesitation to recommend him as your trusted mortgage adviser for the home loan journey! Taj is a very efficient and reliable lending adviser in FHBA. He certainly can help first home buyers like me not only to find the best mortgage deals, but also by providing enough information/options for the buyers according to their needs and limitations. He is a very understanding, fast and patient lending adviser making sure that your needs are met. I strongly recommend him to first home buyers. Taj provided an outstanding service throughout the process of buying my first home. He was professional, approachable and guided me from first to finish in securing my home. Highly recommended. Taj is very reciprocative and always helpful despite any dumb questions for first home buyers like me. He is still In process of securing preapproval from Bank of Melbourne for me. Hopefully, I get my pre-approval and hence will go forward for final loan application as well soon. Looking to determine your eligibility for your first home? You want to buy your first home but you’re not sure if you have saved enough to afford it? 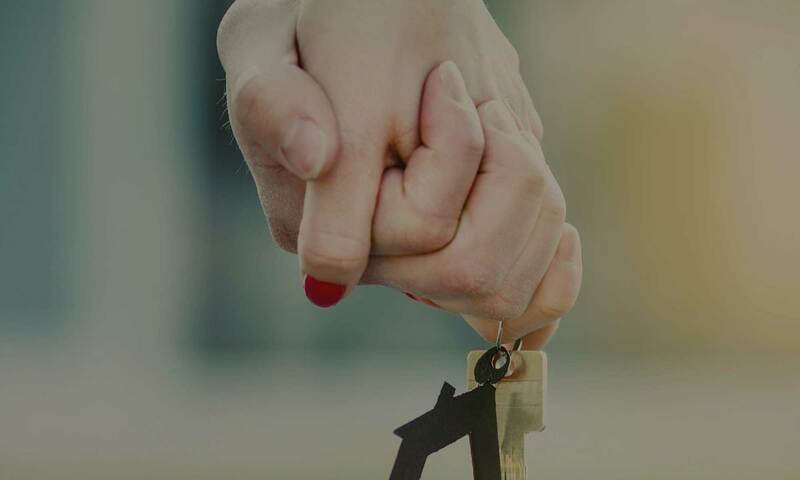 First Home Buyers Australia (FHBA) was created to assist first home buyers as we know exactly how tough first home buyers are doing it and they want to see more Australians achieve the great Australian dream of home ownership. At FHBA we assist all first home buyers. No matter what location, what budget, your desired property type, or what stage you are at, we are Australia’s leading first home buyer organisation and we here to help you next. FHBA Director & Head Coach – Taj Singh along with his team are always striving to achieve the best possible results for all aspiring first home buyers! I am a qualified Accountant who has previously worked in the Practice Accounting & Tax industry and also worked as a Management Accountant at an Advertising Agency in Sydney. I am degree qualified in Accounting & Finance and have also completed my Mortgage Broking qualification which has allowed me to be recognised as a Lending Adviser for first home buyers across Australia and become a member of the FBAA. My greatest passion is client service as I have always worked in an industry where I am required to have advanced client management skills. Disclaimer: The information throughout our website is general in nature and should not be relied upon. Before making any financial or property decisions you should seek professional advice from a licensed professional. Please contact us for further information. The credit license responsible for the mortgage service offered to clients is Mortgage Australia Group Pty Ltd, Australian Credit License (ACL) number 377294, Australian Business Number (ABN) 99 091 941 749. Mortgage Australia Group Pty Ltd is a member of the Mortgage & Finance Association of Australia (MFAA). FHBA Pty Ltd is an authorised credit representative of Mortgage Australia Group Pty Ltd.